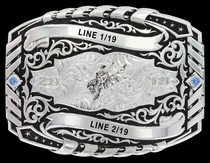 Montana Silversmiths trophy belt buckle #833. 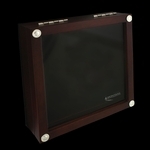 3" x 4". 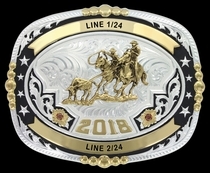 Add up to three lines of engraving to the two ribbons. 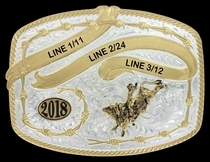 Shown with Bull Rider figure #631. 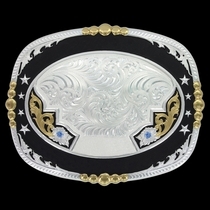 This trophy belt buckle is made with Montana Silversmiths famous Montana Armor finish, which does not tarnish or chip. 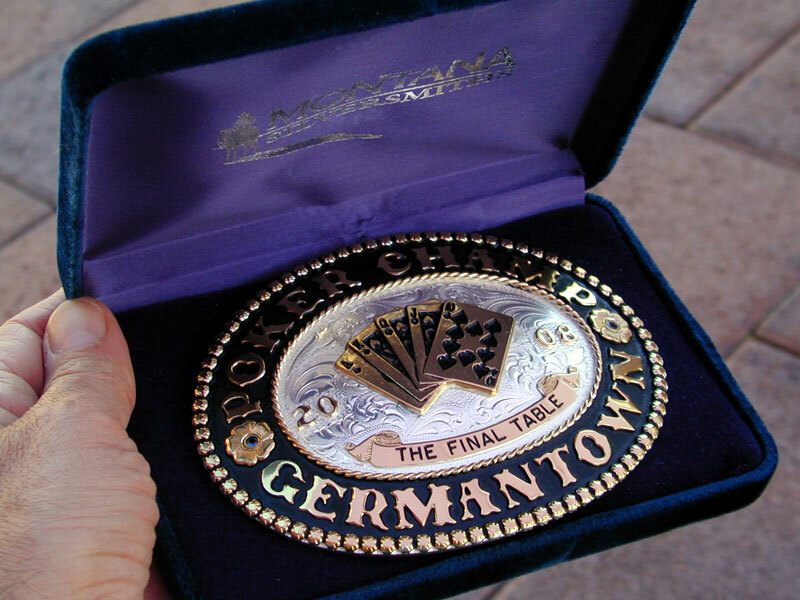 This Montana Silversmiths trophy belt buckle is also available in solid sterling silver (usually price x 3); contact us for a quote. 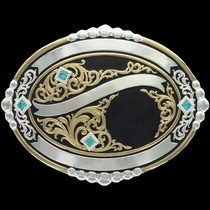 Download the Catalog of Figures here. 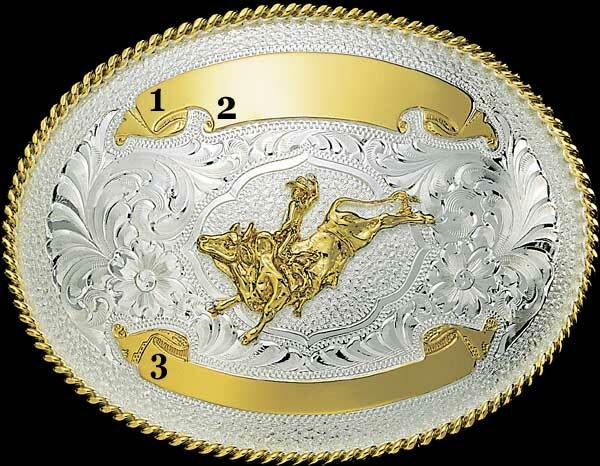 This trophy belt buckle is also available with an Antiqued Patina.